If you’ve broken your garage door spring, your garage door will no longer open, and you will need to replace the spring (or springs). Your garage door spring can break any time, and many people think replacing it is something you can do yourself. But BEWARE – unless you know what you are doing, and have the proper tools, replacing a broken garage door spring can be very dangerous – it can cause loss of limbs or worse. 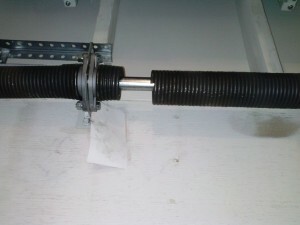 A broken garage door spring is one of the most common reasons your garage door won’t open. People often think it is the garage door opener that lifts the door, when in fact, it is the springs that actually lift the door. If your garage door is not opening, chances are your spring has snapped. 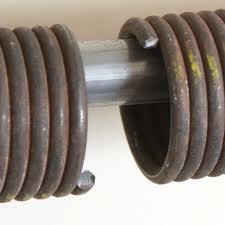 We use only the strongest replacement garage door springs on the market in our repairs. If you think you have a broken garage door spring needing repair, call our service number 303-794-0604 and we will have a trained technician out the same day (in most cases) to get that door open and working again. Most garage doors have two springs, and when one spring breaks, is safe to assume that the other is ready to go too. As a safety precaution, and to prevent future inconvenience, we typically recommend replacing both garage door springs at the same time. A common question that our operators receive over the phone is “how much will a broken garage door spring cost to repair?” And the answer is that it depends on several factors – the size of your garage door, garage door weight and type of springs being used. Call Don’s Garage Doors today, and we’ll get these questions answered!